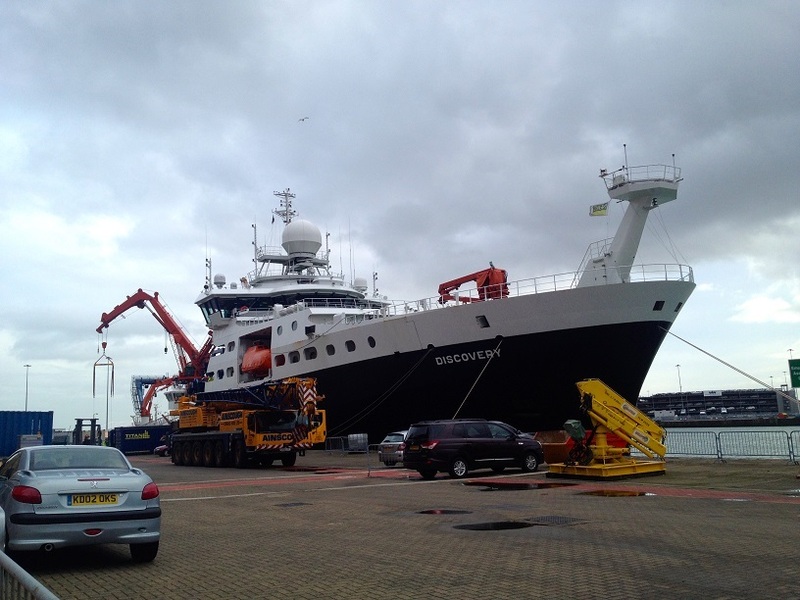 After a week of setting up where all manner of frames, sensors, analysers, buoys, containers, chemicals, supermassive autonomous vehicles and an array of bedraggled looking scientists have boarded the RRS Discovery it was finally time to leave the port of Southampton for the open sea! Breakfast on the morning of departure is at 7:30 and is followed by a safety briefing and familiarisation before departure at 1015. Rumour had it that we were leaving port into fairly rough seas, and once we have escaped the shelter of Southampton docks those rumours turn out to be correct. It is a bit of a baptism of fire for some of the scientists on board and I think many are feeling a little queasy. Before our stomachs have had time to settle it is time to practice the muster, which is similar to a fire drill, however once at the assembly point everyone is required to put on a life jacket, enter an orange life boat and consider how rubbish it would be if we actually had to use it, 52 people in a small orange box with no toilet, one small hatch for air and fishing rods which aren’t actually provided for us to catch fish, but to give us the psychological illusion that there actually something we can actually do ourselves to improve our chances of survival as we get tossed around like an orange cork in a gigantic tumble dryer (if today’s seas are anything to go by). 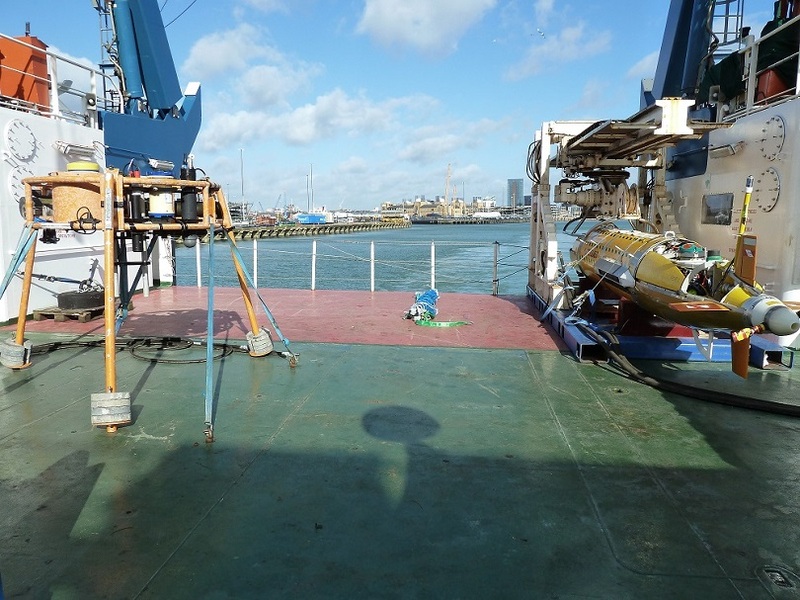 Mini Stable (left) and autosub (right) on deck departing Southampton. Picture taken by Richard Cooke, National Oceanography Centre, Liverpool. Who set off the Discovery’s fire alarm the night before departure by spraying deodorant in their cabin? Answer in the next blog. Isn't it Mini Stable (left) and Autosub (right) or did the picture get flipped?